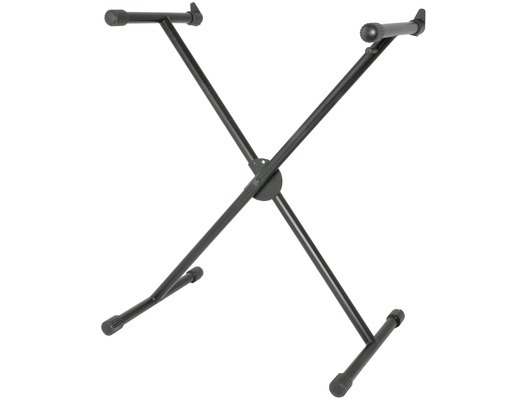 The Chord KX-1 is a single X-braced keyboard stand with non-slip textured end caps to aid grip and prevent the keyboard sliding forwards. 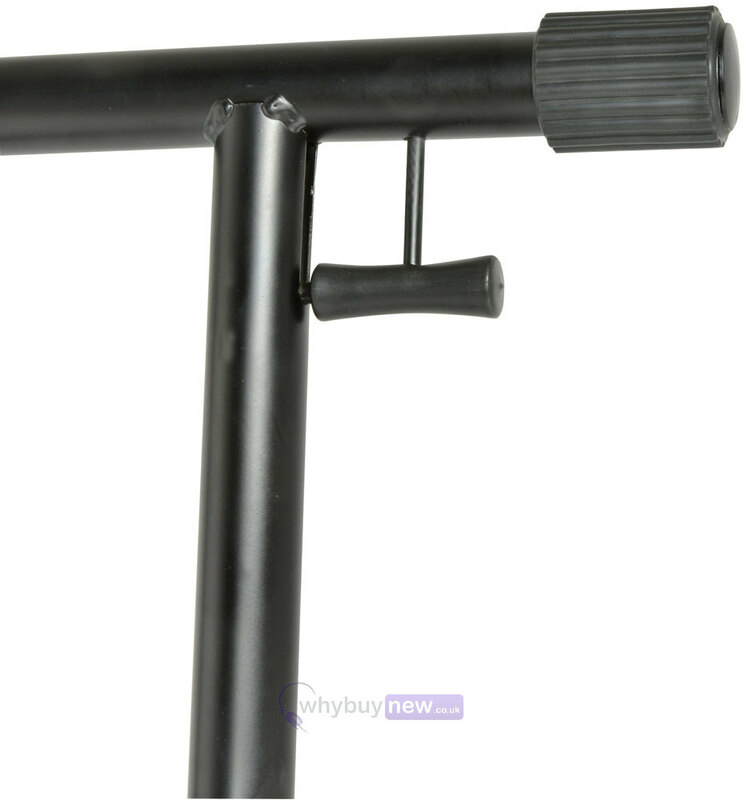 Its pull and lock mechanism enables quick setup and secure positioning. 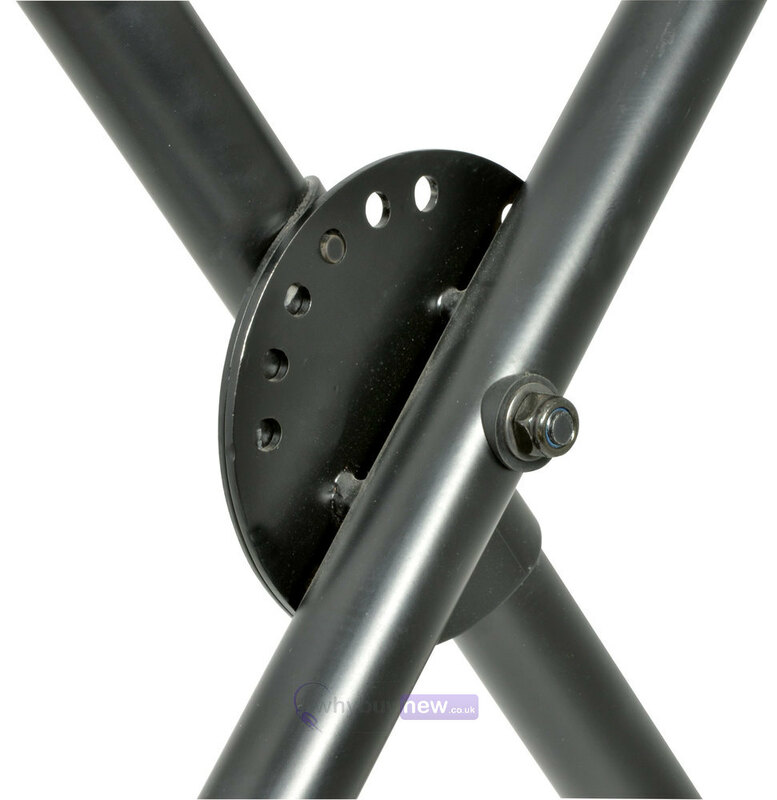 This X-frame keyboard stand features rectangle section steel braces and round tube section feet and support arms. 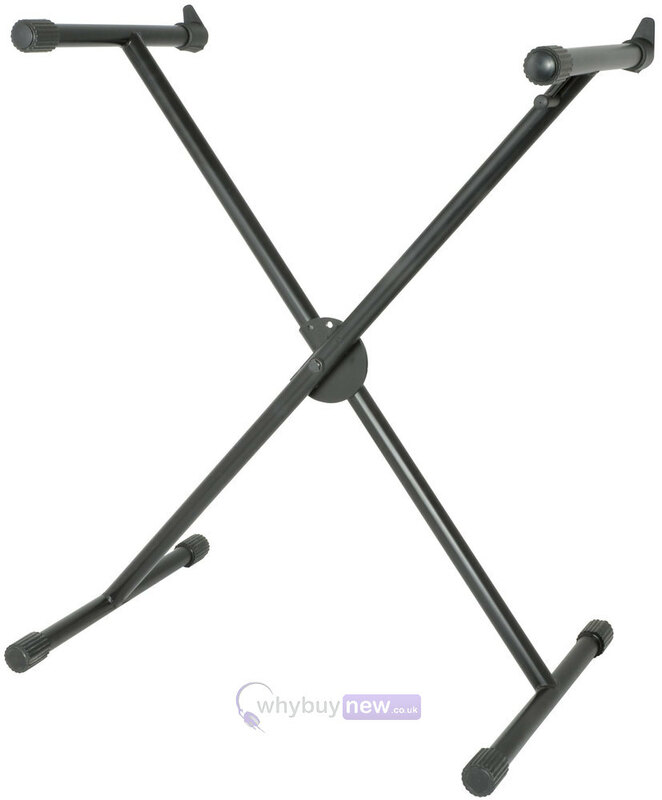 The maximum load capacity for this keyboard stand is 30kg and the maximum height adjustment is 94cm.